CBS took to Twitter to released a brand new trailer for the upcoming final season of the Emmy winning series sitcom The Big Bang Theory. The 30-second teaser includes a mix of old and new scenes from the show featuring a first look on Sheldon and Amy’s relationship after getting married during the last episode of season 11. Check out the video below! The series, which debuted in 2007 and airs in syndication around the world, has received 52 Emmy nominations and 10 wins to date, and 7 Golden Globe nominations. In addition to centering many of its episodes in the worlds of science and technology, The Big Bang Theory enjoys a healthy appreciation and support from the scientific community at large, including having a bee species (Euglossa bazinga), a jellyfish species (Bazinga Rieki) and a monkey at the Columbus Zoo (Dr. Sheldon Cooper) named in the show’s honor. In 2015, the first-ever UCLA scholarship created by and named for a television series, The Big Bang Theory Scholarship support undergraduate students in need of financial aid who are pursuing their higher education Endowment, was established to in the fields of Science, Technology, Engineering and Mathematics (STEM). The Big Bang Theory is executive produced by Chuck Lorre, Bill Prady, Steven Molaro and Steve Holland. The series stars Johnny Galecki, Jim Parsons, Kaley Cuoco, Simon Helberg, Kunal Nayyar, Mayim Bialik and Melissa Rauch. The series is produced by Chuck Lorre Productions, Inc., in association with Warner Bros. Television. The final season of the show will debut Monday, September 24 on CBS before moving to its regular time period on Thursday, September 27. 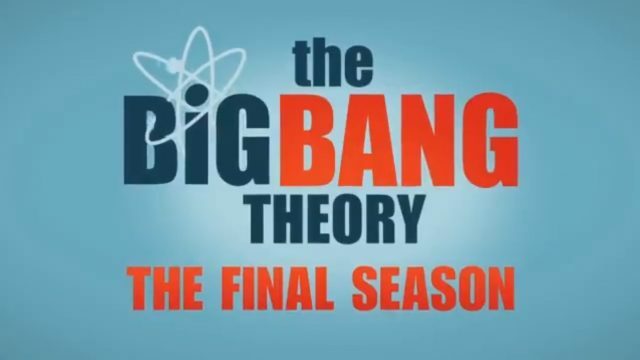 The post The Big Bang Theory Final Season Trailer Debuts appeared first on ComingSoon.net.